To the delight of football fans in the UK and Germany, Deezer has added live football commentary and podcasts to its streaming platform. The coverage and analysis will be available for all Bundesliga, Premier League and FA Cup matches. Podcasts are only in the UK for now, but live commentary, updates, results boards and football related playlists are available for German users too. There will also be football news and content curated by dedicated editors. Deezer started introducing non-music offerings in May this year after launching Deezer Talk for podcasts on various topics, like entertainment, tech and even the popular Serial series. This is the first time a dedicated channel will be given to one topic and is similar to what Spotify does with its non-music channels. It will be interesting to see if Deezer expands on this idea to include other sports or topics. 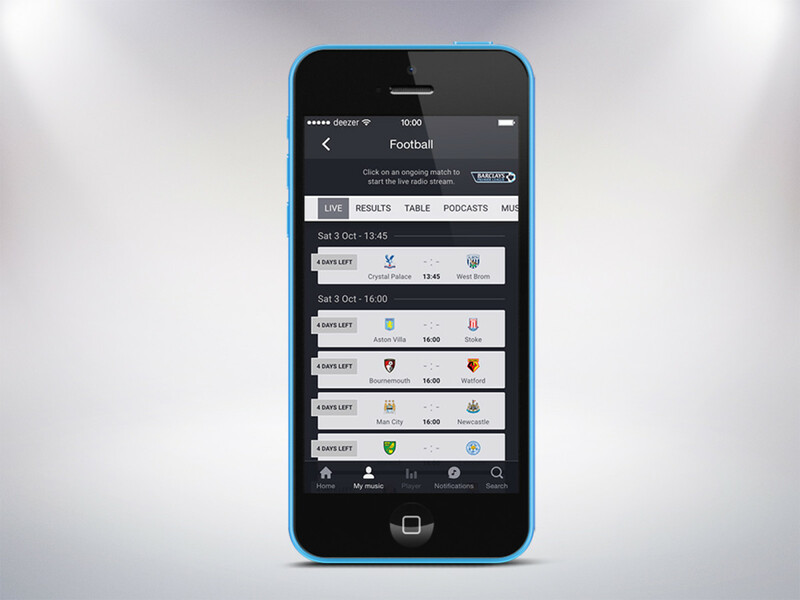 The new football section can be found on Deezer’s homepage and in the apps section. It is available for free to all Deezer users (with ads) and Premium users can enjoy it ad-free.